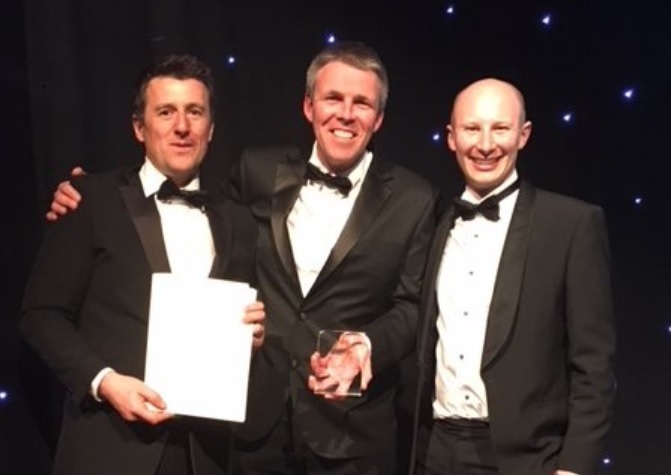 The Rugeley Flood Alleviation Scheme was named winner of the Sustainability Award at the 2018 ICE West Midlands Civil Engineering Awards on 9 May. The ICE West Midlands Civil Engineering Awards recognise excellence and innovation in civil engineering across the region and provide an unparalleled opportunity to draw attention to the hidden benefits of civil engineering to society. The awards showcase the most innovative, creative and sustainable contributions to the physical and social environment – with all winners demonstrating ‘excellence in design and construction, drawing attention to project management, financial control and health and safety’. Completed at the end of 2017, the Rugeley Flood Alleviation Scheme has helped reduce flood risk to more than 114 residential and 157 commercial properties in the Staffordshire town. The scheme also forms an integral part of the local council’s plans to regenerate the town centre. The ICE West Midlands Award was presented to the Environment Agency with Team Van Oord, Turner & Townsend and Aecom named as project partners. “As civil engineers, we are perfectly placed to support society in meeting the needs of today and the future, through delivering efficient, innovative and effective solutions and focusing on delivering projects in a safe and sustainable manner. “It’s wonderful to see the Rugeley scheme recognised by this prestigious award, this scheme really involved the local community and many partners. “I’m delighted that this impressive project is now an award winner. The Rising Brook scheme is very good news for Rugeley, protecting town centre homes and businesses from flooding and making the town a better place to live, work and visit. The Rugeley scheme has also been shortlisted in the Best Practice Award category at the 2018 Chartered Institute of Ecology and Environmental Management (CIEEM) Awards, which will be presented in London on 21 June. *The White Clawed Crayfish (austropotamobius pallipes) is an endangered European freshwater crayfish, and the only species of crayfish native to the British Isles.